we’ll always be here when you need us. We are committed to providing every patient and their family with an exceptional treatment experience, resulting in a healthy, confident smile. To start, we’ll invite you into the office for a complimentary consultation. Our modern orthodontic office in Raleigh and Cary, North Carolina is designed to be a relaxing environment for your enjoyment. During your consultation, we’ll get to know you and involve you in the treatment planning process. We always want to keep your oral health as a top priority, but we’ll work with you to develop a treatment plan that fits your lifestyle. 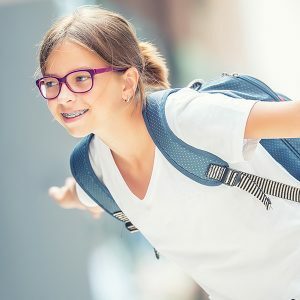 With a variety of appliances, materials, and colors, wearing braces is easier, more comfortable, and a lot more stylish than when we were kids. The arrangement of your teen’s teeth is as unique as their thumbprint. Treatment times will vary according to what is needed to give them a healthy, confident smile. We work with you to achieve a healthy, confident smile using safe and predictable treatment methods. Through the latest in technology, you’ll have several options so you can choose what’s right for your lifestyle.